There are few bodies of water in all of North America more beautiful than Lake Tahoe. 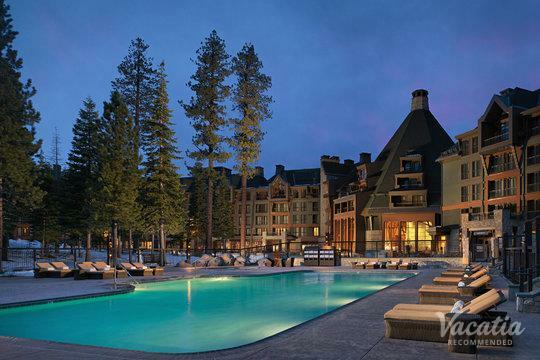 This immense sapphire body of water sparkles year-round, as Tahoe boasts an average of 300 days of sunshine each year. 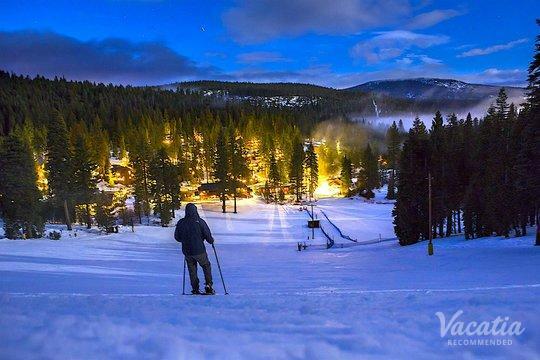 Whether you're heading to Tahoe to enjoy its renowned skiing or to experience some summer fun on the lake, you should let Vacatia help you plan an unforgettable mountain getaway. 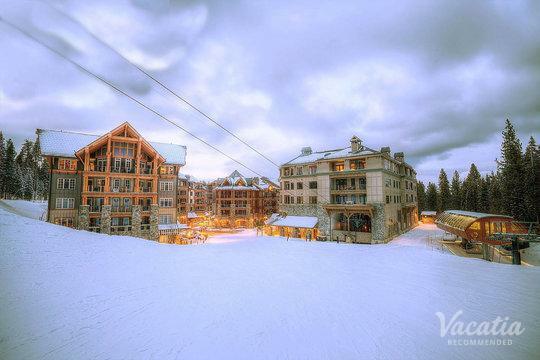 Vacatia provides travelers with high-quality vacation rentals in some of the world's most beloved destinations, including Lake Tahoe. 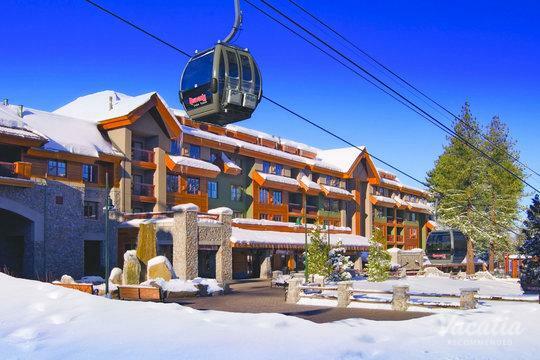 You can easily sift through Vacatia's selection of rentals until you find one that perfectly meets your specific qualifications, which means that you'll be able to enjoy every moment of your Lake Tahoe retreat. 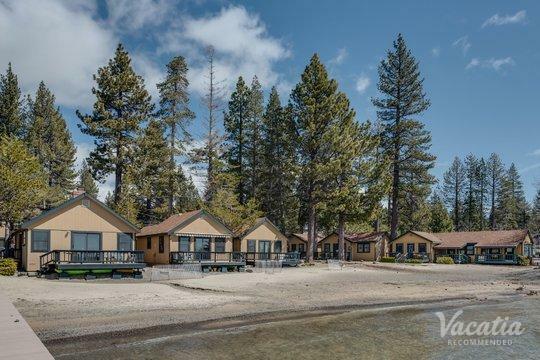 Vacatia will ensure that you'll feel right at home in Lake Tahoe, as every Vacatia property features a fully equipped kitchen and added living areas. 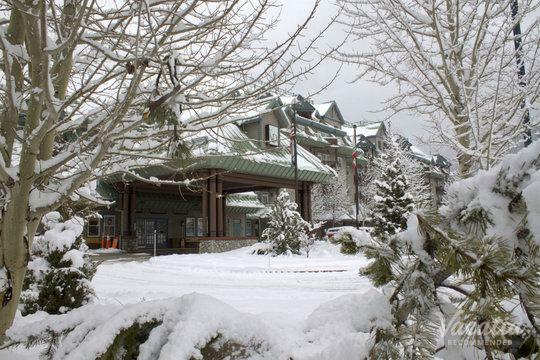 So if you want to stay at one of the best resorts with kitchens in Lake Tahoe, simply work with Vacatia to book your accommodations. Lake Tahoe's breathtaking natural beauty has made it one of the most popular lake destinations in the country, and it's a great vacation spot for all types of travelers. 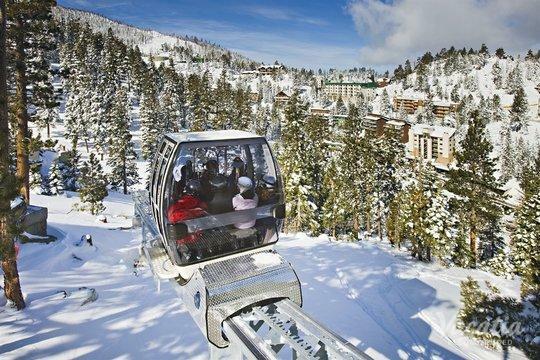 Whether you are looking to relax and unwind by the lake or experience the adrenaline rush on the slopes, you'll be able to plan your ideal vacation itinerary in Tahoe. 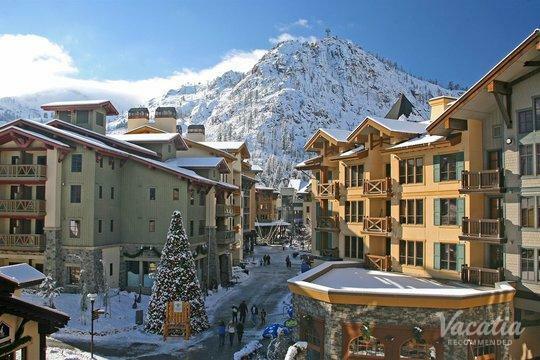 To ensure that your Lake Tahoe getaway is one you'll never forget, work with Vacatia to book your stay at one of the best Tahoe rentals with kitchens. 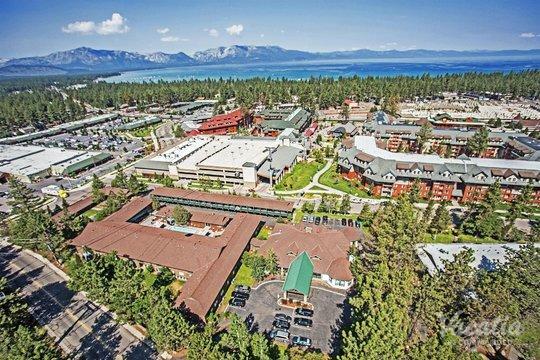 Because Tahoe is a popular vacation spot, there are a number of hotels and resorts in the area. Vacatia can help you simplify your vacation planning process by narrowing down your search results so that you can easily find the perfect lodging for your getaway. Every Vacatia rental property features the added space and comfort of a home, which means that you will get to enjoy the convenience of having your own fully equipped kitchen while on vacation. 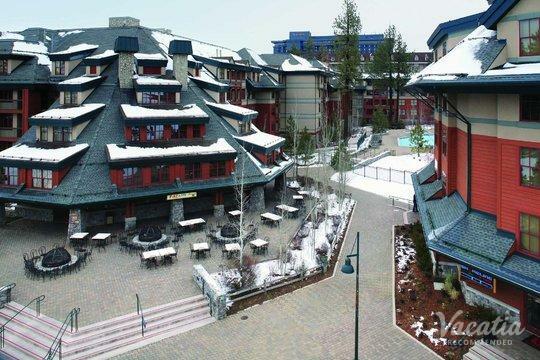 Plus, Vacatia's properties provide the desirable services and amenities of a resort, so you'll be able to enjoy the best of both worlds during your time in Tahoe. Lake Tahoe is the largest alpine body of water in North America, and it's also considered one of the most beautiful. This majestic lake is nestled in the Sierra Nevada Mountains, and it straddles California and Nevada, making it easily accessible to people all over the West Coast. Lake Tahoe is known for its abundance of natural beauty and its exceptional, sunny weather, which is why it's a great spot to visit in both winter and summer. 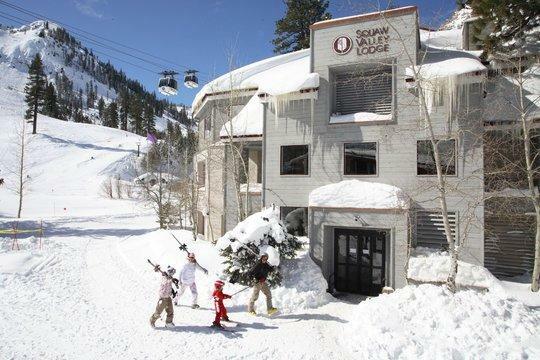 Tahoe boasts a plethora of great outdoor activities, from skiing and snowboarding to swimming and boating. No matter when you decide to head to this gorgeous alpine lake, you should rely on Vacatia to help you plan the perfect Tahoe getaway. 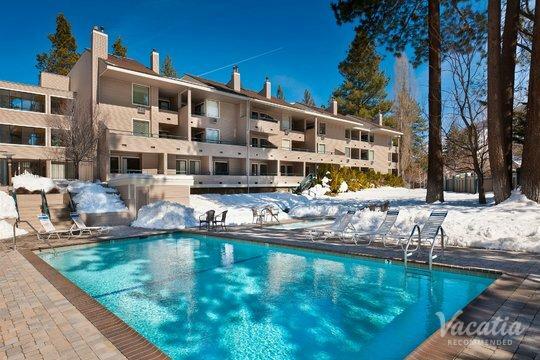 Thanks to Vacatia, you can relax and unwind in your dream home away from home in Lake Tahoe.